Gonna set my heart at ease. But it was Les’ night. Like a lot of veterans of the music business, Les Brown was humble and happy, never seeking to conceal the genuine gratitude he held for a lucky life spent making music. 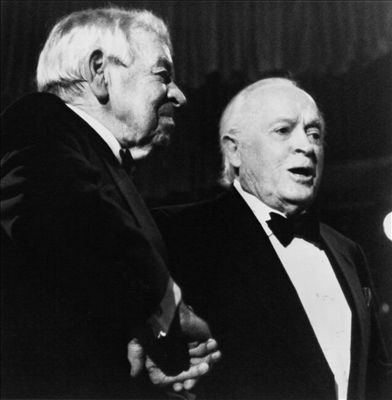 His old pal Bob Hope showed up to pay tribute to Les; it was one of Hope’s final public appearances – he was frail and unsteady, balancing on the arm of his wife, Dolores. They both sang that night. Gently, a slow rubato throughout, and beautiful. But Les was chipper. Though he was already 85, he beamed with an elfin delight throughout the evening, exultantly leading his famous big band, and doing that thing he did best his entire life, making music. 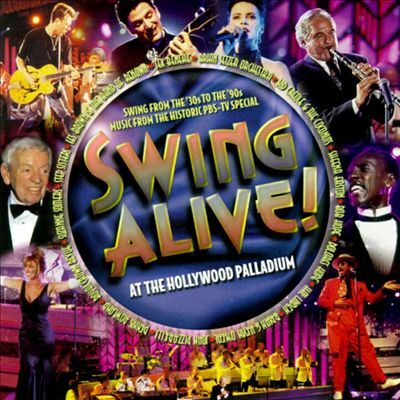 Les Brown & Bob Hope at Swing Alive. Photo by J. Weiss. By the age of 14, Les Brown was already a seasoned profes­sional, and he started what would be the first of many bands, The Royal Serenaders. Playing the pop hits of the day, like “Barney Google,” the seven-piece ensemble would perform mostly at school dances. Les was inspired by the music to make it his living, and also by his desire to escape the drudgery of his father’s bakery, where he toiled from 5:30 am to 7:30 before school, and then for many more hours after school every day. The Ithaca Conservatory, besides being a first-rate music school, also boasted the presence of The Pat Conway Band, which — with the exception of the Sousa band — was the most popular military band in the country. Conway — as Les would do in later years — tired of constant touring, and took a job that would enable him to stay in one place long enough to raise his chil­dren. Les happily joined the band, quickly establishing a reputa­tion as a serious, gifted and ambitious musician. Though sax remained his main instrument, Les also studied and mastered the classical clarinet while at Ithaca. When in­ formed that the school needed a second bassoonist for the school orchestra to play Mozart and Beethoven, and that whoever ful­filled that role would receive a full scholarship, he immediately purchased a second-hand bassoon, and started studying it and in addition to the sax and clarinet. Though the academy was a devoted to all things military, Les never lost sight of his reason for being there, and his reason for being in general — music. So at night he’d sneak out of the barracks to go to a nearby frat house where he could catch the sounds of the big bands on radio. “We’d hear Paul Whiteman, and Mildred Bailey, who was with Whiteman then, and we’d listen to Collin Sanders,” he recalled fondly. “It was great.” Despite these evening escapades, however, Les was a superb student who was named class valedictorian, and offered a full scholarship to attend West Point. He didn’t take it. “By then I had enough of military school,” he said. The final performance of Les and the Blue Devils, as fate would have it, was in 1936 at Budd Lake, New Jersey, the hometown of Georgia Claire DeWolfe. Two years later, in September of 1938, Claire and Les became man and wife, and they made their home in Manhattan. In 1940, a son — Les, Jr. — was born. To support himself at first in New York, Les took jobs arranging for the bands of Isham Jones, Larry Clinton and others. But he was keen to lead his own band again, and with the help of two “angels,” a new Les Brown band was soon born. At the time, Les had a couple of different vocalists front­ing the band, including Miriam Shaw. But it was in 1940 that Les would hear a singer that he felt was the perfect vocalist for his band, the one that would put them over the top. Her name was Doris Day. But, as often happens, romance got in the way. Doris was in love with her high school sweetheart from Cincinnati, Al Jordan, who was now the trombone player with the Jimmy Dorsey band. He encouraged her to return to Cincinnati to settle down, which she did, leaving the band. In rapid succession came the news of Pearl Harbor and the birth of Les and Claire’s second child, a daughter, Denice. And as happy as Les was about his expanding family, he was distressed by his diminishing band, as members left to fight in the war. Les’ brother Warren, who played trombone in the band, left to join the Navy, and their first trumpet player joined him. Many of the others were drafted. It wasn’t easy, but Les continued to find new musicians to replace them, and he kept the band alive. East Coast, at the Paramount, The Capitol, The Strand, The Chica­go Theater, and other venues. rhythm of the verse slightly to make it more singable, added a bridge section, and within a half hour the tune was complete. He got it to his publisher, Edwin “Buddy” Morris, who allowed three lyricists to have a crack at it before he got a lyric he approved of. 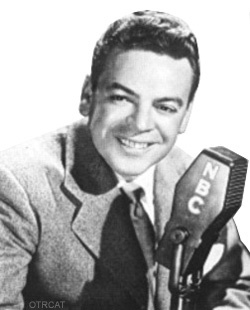 The accepted lyric, written by Bud Green, (who wrote “Flat­foot Floosie With the Floy Floy”) was based on the title of a book that Buddy Morris had been reading, Sentimental Journey. Les wasn’t able to record the song for two years, however, due to a recording ban imposed during the war. It was completely a twist of fate that linked up this song with the end of the war. As soon as the recording ban was lifted, Les and the band record­ed “Sentimental Journey” with a great vocal by Doris Day, and it became the perfect theme song for the all the young men returning home from the war. It became the record that shot the band to the top. The Number One song in the country for some sixteen weeks, “Sentimental Journey,” stayed on the Hit Parade for months, and has since become an undeniable standard in the lexicon of the American popular song. his place. And our theme song at that time featured the trombone, so we couldn’t go on the air, and we were sweating. So we finally found Sy and put him on, but in the meantime the announcer was saying things like, ‘from the nation’s capitol, where we have cherry blossoms…’ He was ad-libbing like mad and sweating too. To get to the West Coast, Les and the band would travel piece-meal, in tiny DC-3s, two at a time, until the whole band reached California. New York was their homebase until 1945, at which time Les decided to permanently move the band to Los An­geles. “I told the guys that I was taking six months off, but if they wanted to come out, they had a job. It turned out only to be three months because I didn’t know I had a contract to go into the Palladium three months later. They insisted on it. So rather than have a lawsuit, I got a band together.” Five of the original band members made the move, but the others had their roots in the New York area and decided to stay. Les put together a new band in California, a band that has remained, with few changes, to this day, still performing some 50 years later. 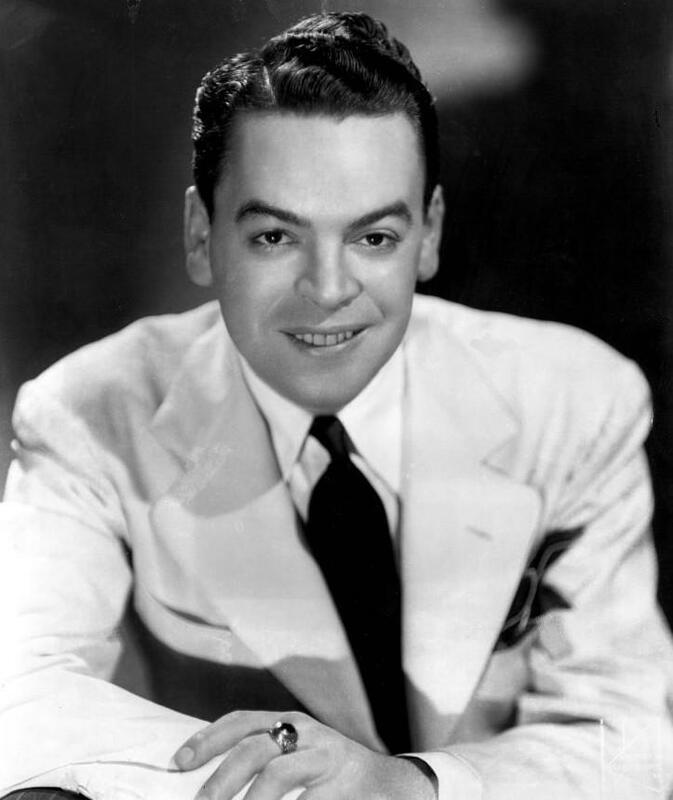 It was at the Hollywood Palladium in the Spring of 1947 that Les got a note sent to him backstage that said that Bob Hope’s agent, James Saphier, wanted to buy him a drink. 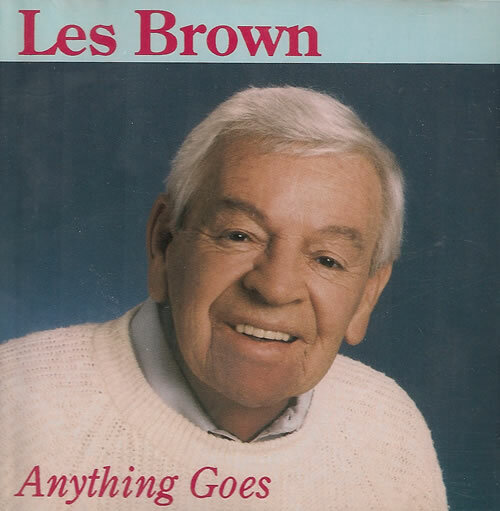 It was a ploy that worked, however, as Les later had a huge hit with his recording of the song. When an executive of his record company at the time, Columbia, heard Les and the band playing the song on a Hope broadcast a few months later, he called Les and told him to get into the studio immediately to record the song. Les informed the exec that they already had the song in the can, and he’d find it if he’d look into the archives. Les was right, of course, the recording was found, and it became one of the band’s biggest hits. Bob Hope brought Doris Day back into the fold, and with Les, their combined star power was staggering. It was 1949, and Hope had the Number One movie, Pale Face, Les has the number one instrumental with “Love To Keep Me Warm,” and Doris had the number one vocal tune with “It’s Magic.” They went on a national concert tour that broke sales records wherever it landed. At the onset of the Korean War in 1950, they switched the tour to the military bases that Hope was famous for visiting. The first trip, to a bitter cold Korea, lasted 35 days and was the first of eighteen Christmas tours that Les and Hope would share. When his friends, the songwriters Sonny Burke and Paul Weston, told him about the Recording Academy they had founded (which became NARAS, the National Academy of Recording Arts & Sciences), Les became involved. Not only was he elected President of the L.A. Chapter, he also enabled the Academy to televise a Grammy Awards program for the first time. In April of 1996, a few days after I interviewed him for this story, the Guiness Book of World Records awarded Les with the distinction of being the leader of the longest lasting musical organization in the history of pop music. But Les and his band were more than long lasting. They were quality. There was real joy when they played their music – on the bandstand, and in the audience. And that joy stands. ~ by bluerailroad on February 13, 2014.
another remarkable and fascinating tale Paul!!! Thank you Christian. I am glad you found us.